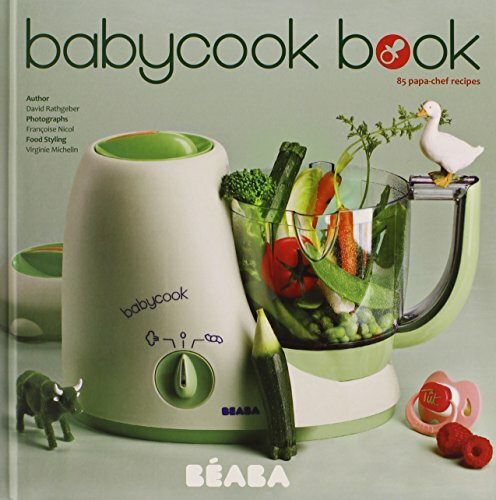 With 85 full-color, step-by-step recipes designed specifically for Baby cook, baby's mealtime has never been easier or healthier. Written by David Rathgeber, French chef and 'Chef Dad', the recipes were created in the same manner that he creates recipes for his restaurant's menu, by season, with fresh ingredients from the market. Each recipe highlights the flavor of one ingredient, sometimes seasoned with a spice or herb or enhanced with a special pairing. The recipes are designed to be made progressively as a child's tastes and development evolve, while respecting the rules of nutrition and giving tips on how to adapt foods to a child's specific stage of development.